There are many reasons why you might want to obtain copies of the title documents relating to a property. Perhaps you are trying to resolve a boundary dispute, or you need to understand what covenants might bind the land. Maybe you want to check for rights affecting it or you might be considering buying it. How Does a Spouse/Civil Partner Protect Their Home Rights? What is the Difference between an Official Copy of the Register and a Register View? Many thanks for the prompt reply with the attached title plan as requested. Your service was excellent. I made the request at about 6.30 on a Friday and I received the title plan through e mail on Saturday morning. The process was straightforward and easy to follow. A Fast, efficient service offered by the land registry documents site. I couldn’t be more happier with the service received. Title plan ordered and received within a few hours. Simple transaction and low cost with no waiting, thoroughly recommended. I would like to say that I found the site easy to understand and extremely quick with the results. Like most people I love simple,easy,quick, Fantastic!! Excellent service – document received so speedily. Very easy to apply for documents. Can thoroughly recommend. I requested a copy of the original lease for my property, i only had limited information, so I was amazed when I got a copy of the original back within an hour. Fabulous service, exceeding my expectations! I have used the Land-Registry-Documents.co.uk to download documents on adjoining properties because problems with a shared drive. The quality of documents was as expected and of reasonable price cheaper than other websites I used previously. I will be ordering again from this website and very grateful for the prompt delivery of the documents ordered. 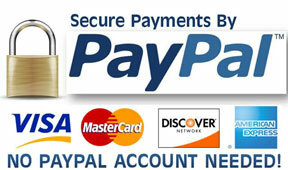 The order was easy to follow and great to be able to pay by PayPal. Thank you! Dear Sir/Madam, I am more than grateful for your excellent service and would be happy for you to use the following words for feedback on your site: The site was exceptionally easy to use and the service was second to none. The documents were ordered and I had an email to say that the documents would be with me within 24/72 hours. I am delighted to say that just 6 hours later I was in possession of my long lost deeds. How Will the Increased Stamp Duty on Second Properties Affect You?